The Kia e-Niro will go on sale in the UK from 1 April 2019. 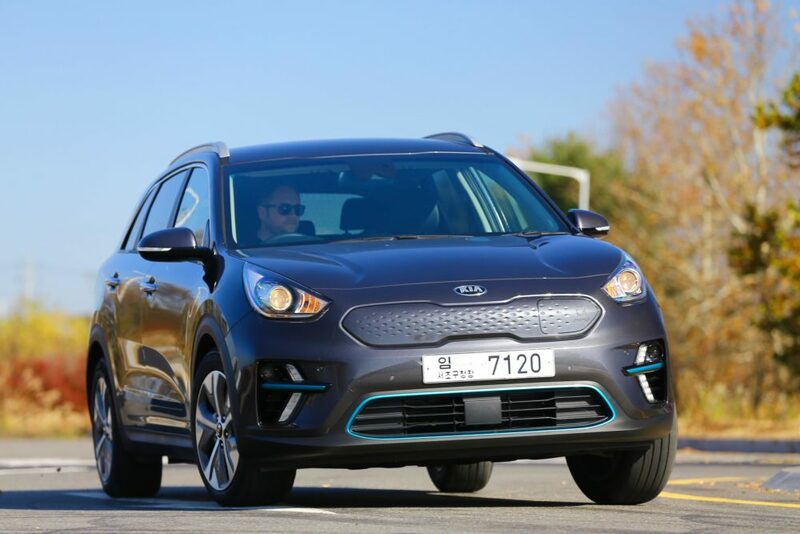 It is Kia’s second globally-sold electric vehicle after the Soul EV. The new model made its European debut at the 2018 Paris Motor Show. More than 200,000 examples of the Niro Hybrid and PHEV have been sold around the world since 2016, with 65,000 examples sold in Europe and more than 11,000 here in the UK. The Kia e-Niro differentiates itself from the existing Niro Hybrid and Niro Plug-in Hybrid with a series of exclusive design features. Taking inspiration from the Niro EV Concept unveiled at the 2018 Consumer Electronics Show in Las Vegas, the exterior is based on a ‘Clean and High-tech’ design concept. Its ‘tiger-nose’ grille features an integrated charging port, bearing a de-bossed Niro logo. Redesigned air intakes and new arrowhead-shaped LED daytime running lights combine with blue trim highlights to help it stand out further. The Kia e-Niro has been designed to “merge crossover-inspired design with long-distance, zero-emissions driving and enjoyable performance”. The e-Niro is equipped with a high-capacity 64 kWh lithium-ion polymer battery pack. On the WLTP combined cycle, it provides a driving range of more than 282 miles on a single charge, producing zero on-road CO2 emissions. On the WLTP city cycle, the Kia e-Niro is capable of driving up to 382 miles. The long-distance 64 kWh battery pack is paired with a 201 bhp (150kW) motor, producing 291 ft lb of torque, enabling the Kia e-Niro to accelerate from 0-to-60mph in 7.5 seconds. Like the Niro Hybrid and Plug-in Hybrid variants, the new electric model is front-wheel drive. The e-Niro provides owners with a range of technologies to enhance battery efficiency and improve the car’s range. The e-Niro’s Electric Parking Brake (EPB), is operated by a button on the new centre console panel. The driver can manually apply the parking brake once stopped. When moving off, the EPB switches off automatically, allowing a seamless start. The e-Niro is also equipped with a Drive Mode Select system, enabling owners to tailor their driving experience. Switching between Normal, Eco and Sport modes, Drive Mode Select alters the level of effort required to steer the car, and changes the character of the powertrain. Eco mode maximises the potential for greater efficiency by limiting the maximum torque and power of the motor, softening throttle responses, and offering more relaxed steering inputs. Normal mode is the most suitable for day-to-day driving, combining the efficiency and performance of the powertrain with direct steering and throttle responses. Sport mode enhances throttle responses and enables maximum acceleration, as well as weighting up the steering for more decisive responses to driver inputs, bringing the e-Niro’s engaging handling character to the fore. The battery pack is located low down in the body, between the two axles, giving the crossover a centre of gravity more akin to that of a saloon or a hatchback. The e-Niro boasts a lower drag co-efficient (0.29 Cd) than Niro Hybrid and Plug-in Hybrid models (0.30 Cd), suppressing wind noise and enhancing its aerodynamic efficiency. This is aided by laminated windscreen glass, a cowl over the front windscreen wipers, specially-profiled door mirror casings and covers over the holes in the roof rails – which sit flush on the bodywork. Road noise is minimised further by high-insulation rigid bushes in the front subframe, high-strength steel in the rear wheel arches, to reduce high frequency vibrations around the rear of the car and additional sound insulation material in the A- and B-pillars. Already in production at Kia’s Hwasung manufacturing facility in Korea, the all-electric Kia e-Niro is on sale in the UK from 1 April 2019 priced at £32,995 after deduction of the £3,500 plug-in car grant. Premium paint is available as an optional extra at an additional £565. In keeping with every Kia, the e-Niro comes with a seven-year or 100,000-mile warranty, subject to certain wear and tear conditions. 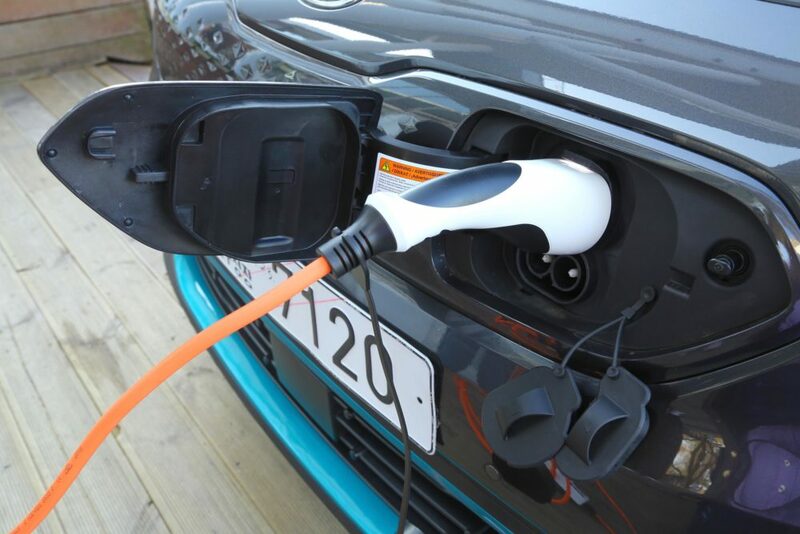 The warranty additionally covers the battery pack and electric motor and is fully transferable should the car be sold before the time or mileage limits have been reached. The e-Niro is available with Kia’s ‘Kia Care’ service plans, which have been developed to provide customers with a wide range of service plan options for any Kia model within the first seven years of the vehicle’s life.